mon petit lyons: Are you the Covert Robin Guest Host? Hurry, there's still time! Are you the Covert Robin Guest Host? Hurry, there's still time! who's ready for another round of the covert robin??? it's back for 2013 and better than ever! ok, i can't promise that, but i sure hope so! and we're looking for someone special to round out our team of fabulous co-hosts... who knows? 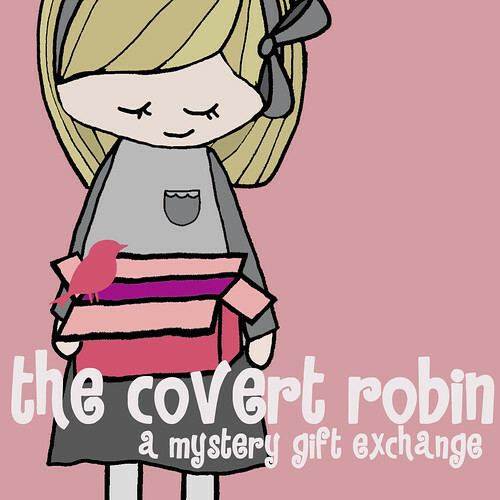 maybe YOU are the next covert robin guest co-host!! a round-robin gift exchange of handmade presents. you get to make something special for another blogger, and you'll also receive your very own handmade present from a mystery gifter (your "covert robin"). you can find more info and updates here. If you want to be the 2013 covert robin guest co-host, head on over to Imagine Gnats to enter now. Good luck!!! Wilkеѕ Uniѵersity's radio station plays mostly alternative rock, but Mondays have seemingly always been "Metal Mondays. While the effects of antenna polarization may be interpreted as a reduction in the quality of some radio links, some radio designers often make use of this property to tune an antenna to their needs by restricting transmission or reception to signals on a limited number of vectors. Proffering multifarious benefits to the advertisers, it is a quintessential resort for companies big or small.